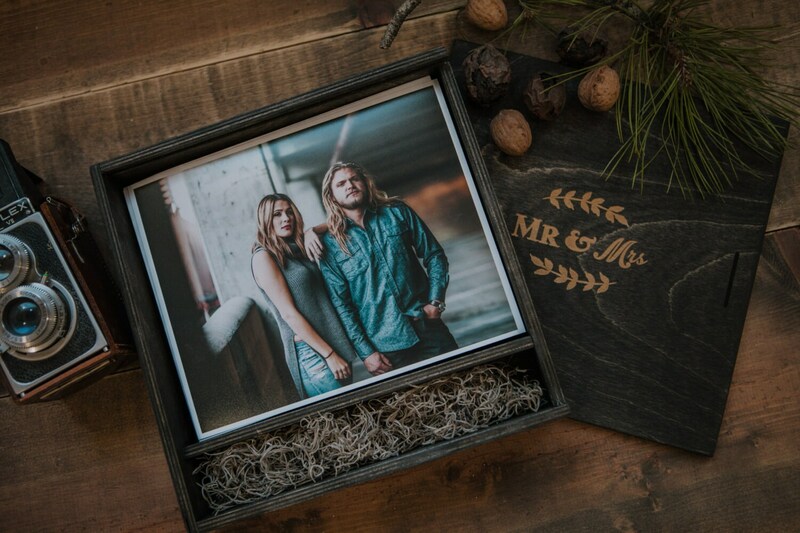 Your clients will absolutely love these handmade wood print boxes. 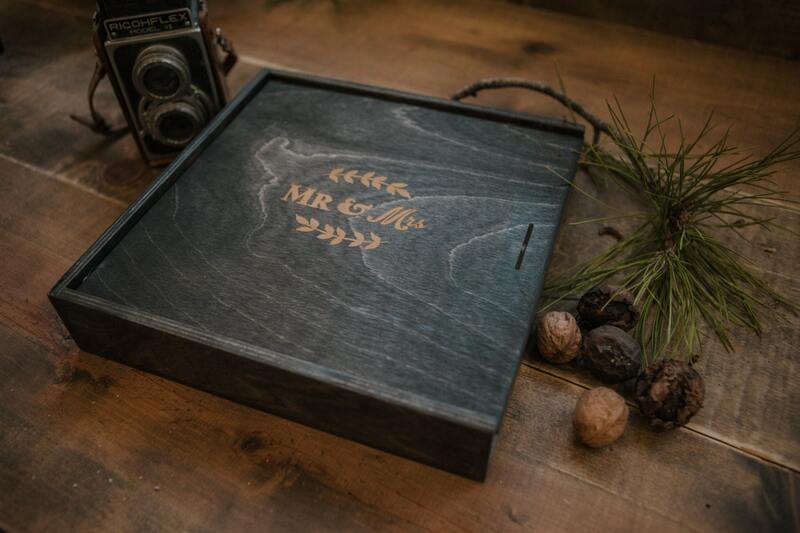 Made from Birch wood with a sliding lid, these boxes are large enough to hold both prints and a USB drive. 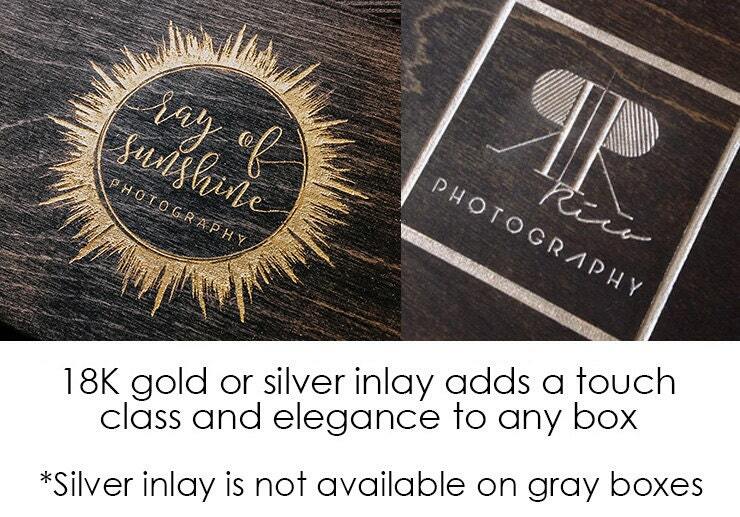 These beautiful boxes come in a variety of colors and can be engraved to display your logo. A box can hold an estimate of 120 8x10 prints. Print area: est 10.5" x 8.5" x 1.5"
USB area: est 10 3/8" x 1.5" x 1 3/8"
I'm absolutely crazy about these boxes! The quality is perfect, as always. There's only ever been one mistake (a small misunderstanding of logo placement, no big issue), and she sent me out a replacement immediately!! Her customer service has never been anything but 110%! I'll never switch to another vendor. You have full loyalty from Forever Metamorphosis Photography! Oh my gosh!!! This was perfect! 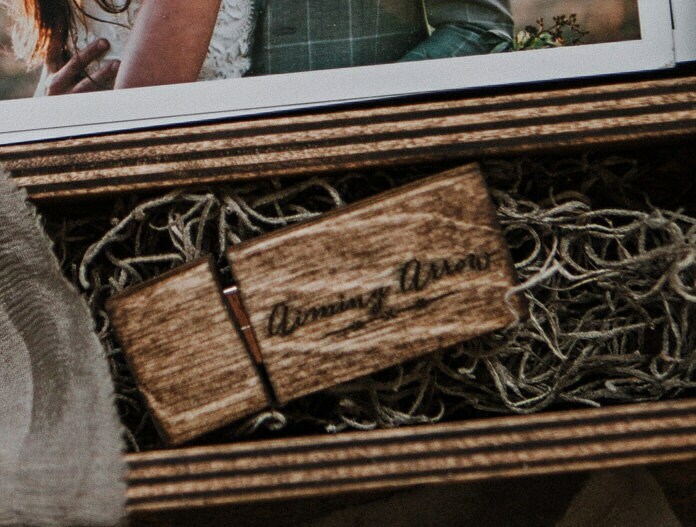 I will be using these for all of my weddings!